The much anticipated fashion festival scheduled to hold in November has been postponed/cancelled. 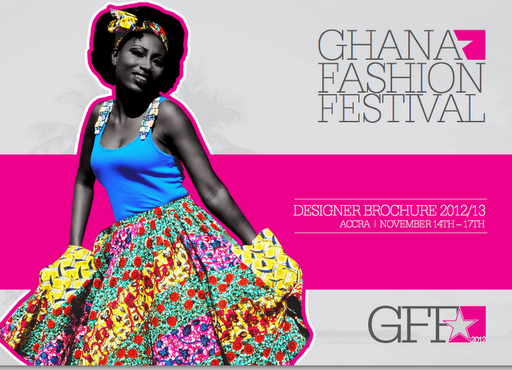 The aim of the event is to celebrate, nurture and promote all aspect of African fashion and style in Accra, Ghana. Though, the organizers are yet to release official statement as to the reason(s) why the event will not be holding again despite the hype. In a phone conversation with the PR consultant to the event Ms Makeba Boateng, She confirmed unofficially that the event has been postponed but the organizers are yet to communicate her PR film officially as to the reason. But unreliable source told me that the event was postponed due to lack of fund and the organizers don’t want to disappoint fashion lovers by organizing substandard event. I try to get the organizers on phone to confirm the postponement and ask for the reason but didn’t pick up. Let’s wait to hear from them as to confirm the postponement and reason why the event in not coming up again.